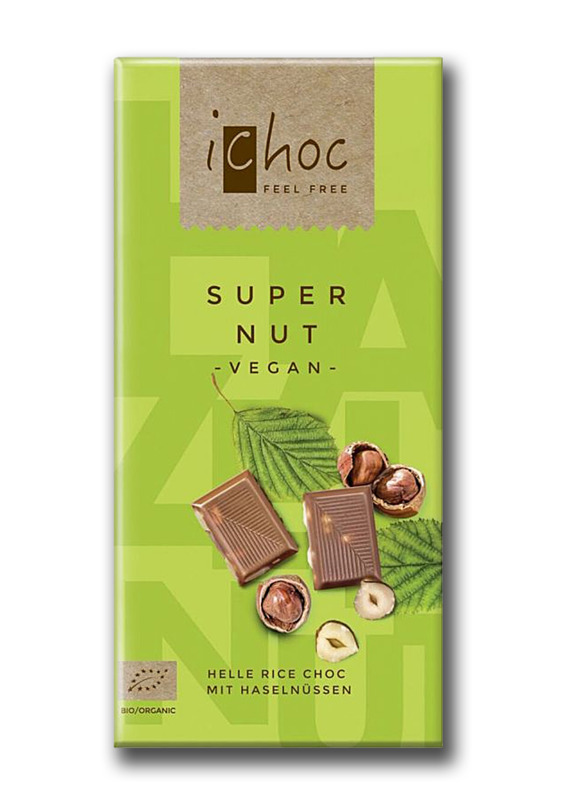 iChoc Super Nut is a delicious chocolate bar with freshly roasted hazelnuts, covered by tender rice milk chocolate. This chocolate is not certified "fair trade", but we think that the producer's explanations sound quite convincing. Please store in a cool place. May contain traces from milk, gluten and edible nuts.